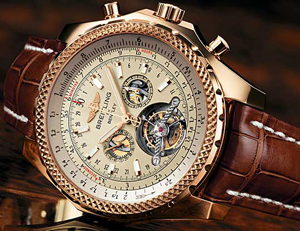 As a result of an organized test at one of the shopping capital of the Don was discovered by officers of a store where anyone in the sum of 3-5 thousand rubles can buy a fake watch almost any world-famous Swiss watch company. It was found that the forgery produced in clandestine workshops in China. Law enforcement officials have noted that even the appearance, design of packaging and labeling is significantly different from the original product. Mechanisms for recovery of hours have already been recognized inconsistent standards of Swiss quality special expertise. Note that law enforcement officers seized from illicit trafficking in 80 pairs of watches, total cost is estimated at 250,000 rubles. The damage to the original owners Rostov employer brands, is estimated by experts in the sum of more than 16 million rubles. With respect to the owner of a shop a criminal case. A version of Pam65 warns: Be careful when buying a watch!